The Best Scuba Diving blogs from thousands of top Scuba Diving blogs in our index using search and social metrics. Data will be refreshed once a week. Also check out Scuba Diving Podcasts and Scuba Diving Youtube Channels list for Top videos on Scuba Diving. Scuba Diving newsletter is a comprehensive summary of the day's most important blog posts and news articles from the best Scuba Diving websites on the web, and delivered to your email inbox each morning. To subscribe, simply provide us with your email address. About Blog Latest Scuba Diving News, Events, Blogs, Articles & More. PADI( Professional Association of Diving Instructors) strives to be the world’s most respected and successful organization in recreational scuba diving and snorkeling. Facebook fans 1,816,919. Twitter followers 96,420. About Blog Scuba Diver Life is a leading global digital media company and publication that informs, inspires and entertains scuba divers and ocean enthusiasts around the world. Scuba Diver Life is redefining the diving industry by capturing and shaping digital media content with a fresh voice, new formats and cutting-edge videos to a uniquely dedicated audience of over 1 Million. Facebook fans 1,501,148. Twitter followers 25,212. Winter Park, FL About Blog Scuba Diving is a one-stop resource for information on how to scuba dive, scuba gear, dive travel, dive photos, videos, training, and more. Facebook fans 310,584. Twitter followers 44,142. About Blog An information resource for Scuba Divers - Scuba diving news, Scuba diving vacations, Scuba equipment and liveaboard vacations. Facebook fans 36,701. Twitter followers n/a. About Blog Welcome to scuba where scubbits dive deep! Ask questions and trade tips with a diverse community of divers, from open water newbies to dive instructors, commercial divers and scientists from around the world. Facebook fans 1,217,139. Twitter followers 583,097. London About Blog DIVE is the world's leading scuba diving magazine. Featuring the best diving gear reviews, top diving destinations, awesome photography and great writing. Facebook fans 8,986. Twitter followers 29,290. Facebook fans 106,421. Twitter followers 96,643. About Blog Deepblu is the online community for divers and ocean enthusiasts. Connect with other divers and share dive logs, photos, and updates. Facebook fans 42,459. Twitter followers 452. Faversham, Kent, UK About Blog Welcome to the Simply Scuba Diving Blog! Written & produced by the award winning scuba retail team sharing the latest scuba news, kit advice, competitions. Facebook fans 6,081. Twitter followers 11,679. London, UK - Diving Worldwide About Blog To be the best tailor-made diving travel specialist in the world! Facebook fans 21,599. Twitter followers 1,548. New York, NY - USA About Blog Daily SCUBA diving news blog Aquaviews brings you the newest diving related information. Facebook fans 59,740. Twitter followers 17,164. Hampton About Blog Divernet is the major source of scuba diving information for UK and European divers. Facebook fans n/a. Twitter followers 17,081. About Blog This blog is great and focuses primarily on the underwater photography aspect of scuba diving, which however is super useful to any diver, most of whom also happen to have a camera with them. Facebook fans 7,236. Twitter followers 6,649. About Blog Scuba Diving Reviews and best guide for diving holidays, listing the top dive sites in the world along with those a bit off the beaten track for divers! Facebook fans 3,624. Twitter followers 878. Gilbert, Arizona About Blog For nearly 25 years, DiveNewswire founder Scott D. Jones has worked in the scuba diving industry in a marketing communication and public relations capacity. DiveNewswire is the only weekly press release distribution system servicing the recreational scuba diving and related industries. DiveNewswire’s primary mission is distributing news and information about the recreational scuba diving industry. Facebook fans 1,643. Twitter followers 165. About Blog The Scuba Diving Blog keeps you up-to-date with all additions and changes to the scuba-diving-smiles.com Web site. About Blog Diving trips, scuba diving, learn to scuba dive with MaduroDive Blog. Facebook fans 32,800. Twitter followers 5,071. About Blog The Scuba News brings you all of the latest news, reviews, travel and offers from the world of scuba diving. Facebook fans 4,590. Twitter followers 12,594. About Blog Diveplanit presents the best scuba diving in South Asia and the Pacific. Find your destination whether it's reefs, wreck, luxury or diving with your family. Facebook fans 8,332. Twitter followers 447. About Blog Follow our Key Largo diving blog at Sea Dwellers Dive Center to keep up to date on current events, specials, and dive information in the Florida Keys. Facebook fans 15,299. Twitter followers n/a. Puerto Del Carmen Lanzarote About Blog Scuba Diving in Lanzarote, their mission is to make your scuba diving holiday the best yet! Facebook fans 2,088. Twitter followers 561. Vancouver, WA About Blog Seven Seas Scuba and its dive professionals are committed to bringing you regular dive events, dive trips, up-to-date information, equipment counseling, outstanding dive education, excellent equipment servicing, and superior customer service. Facebook fans 1,526. Twitter followers 609. Oak Harbor, WA About Blog In it, on it, under it, it's all about the water! This is your source for all things watersports related, conveniently located under one cover. Facebook fans 1,339. Twitter followers 67. The Netherlands About Blog Our goal at Divebase is to always keep on growing our data by having our users submit, enhance and review data, keeping it up to date and complete for others to use and build on and document every spot, shop, liveaboard and dive club on our planet. Facebook fans 464. Twitter followers 423. About Blog Amazing provides quality information about scuba diving trips and courses. Keeping our weekly dive trips logs and scuba tips. Facebook fans 4,428. Twitter followers n/a. Mexico About Blog Specializing in the best of Cozumel Scuba Diving. VIP service for certified divers; instruction and certifications for both PADI and SSI. SCUBA instruction and VIP guided tours on the northern edge of the incredible Mesoamerican Barrier Reef of Cozumel, Mexico. Facebook fans 1,005. Twitter followers 27. Connamara, Co. Galway, Ireland About Blog Bringing you all the diving news from the West of Ireland. Facebook fans 3,405. Twitter followers 177. Melbourne About Blog Learning the right scuba diving techniques with one of our highly qualified PADI instructors will ensure your dives are more fun and last a lot longer. Facebook fans 563. Twitter followers 44. UK About Blog Scuba Diving Blog is an online portal for scuba diving news and features. They're passionate about scuba, marine wildlife and conservation. Facebook fans 204. Twitter followers 722. 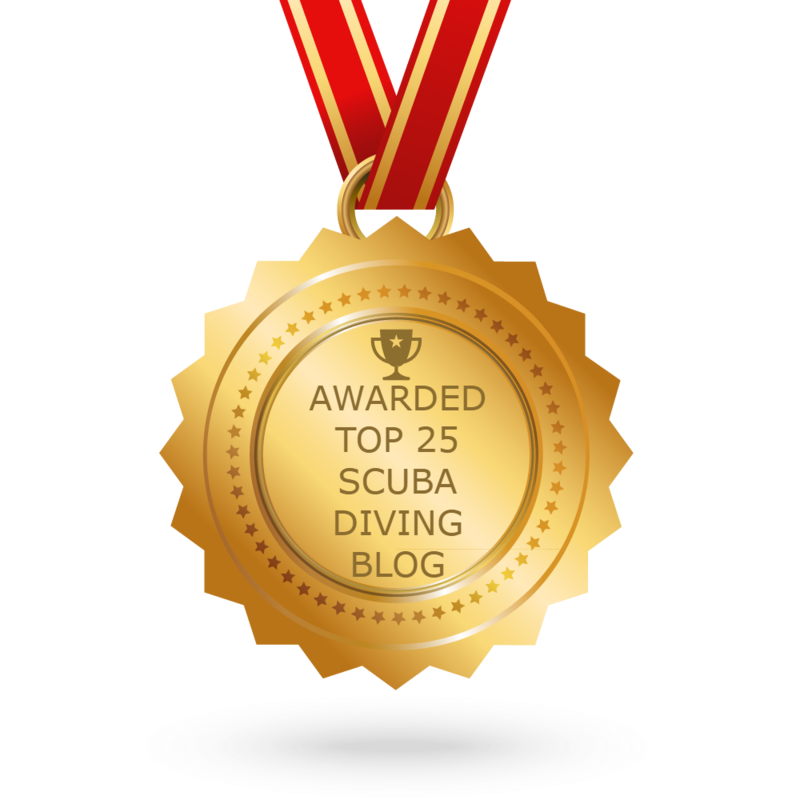 CONGRATULATIONS to every blogger that has made this Top Scuba Diving blogs list! This is the most comprehensive list of best Scuba Diving blogs on the internet and I’m honoured to have you as part of this! I personally give you a high-five and want to thank you for your contribution to this world.